Take a picture it’ll last longer! And if you want it to last especially long you’ll pick up some of these white expandable cardboard mailers. 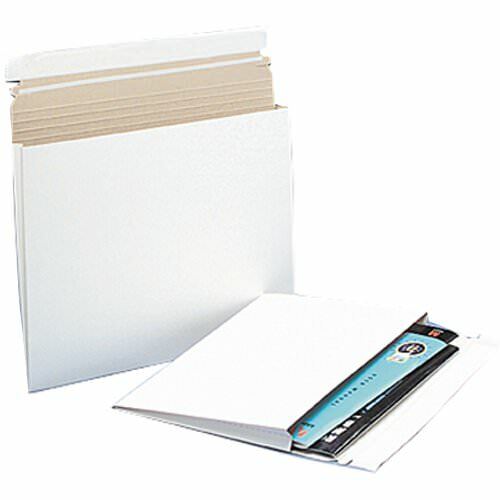 These expanding folders are perfect for photography and other art projects in need of extra safekeeping. With 1 inch more than a regular envelope, you'll be able to store more than just one photo, more than just ten too! A durable cardboard design allows these to take on the biggest of tasks with ease, ensuring both safety and security. Label them, design them or leave them as is, with a bright white exterior the possibilities are endless. White Expandable Cardboard Mailers measure in at 12 1/2 x 15 inches and feature a rectangular peel and seal closure. This self-adhesive closure will certainly make all of your content safe until you want it to be opened. Did we mention that these mailers are 100% recycled? Who doesn't love to hear that?